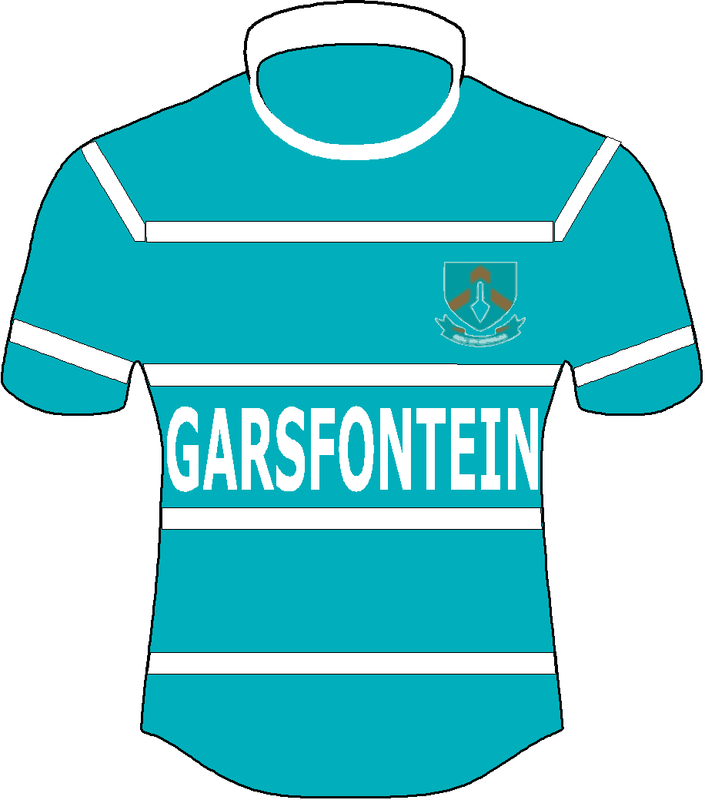 Beet, there is small problem with the table: Garsfontein is playing two different schools on the same day? Beet: Thanks – I’ve fixed this now. Hier is voorwaar ‘n hele klomp wedstryde wat enige kant toe kan gaan. ‘n Naweek om na uit te sien. Ek is een wat nie voorspel nie, maar wil graag my kop uitsteek om te hoor wat dink julle en waar ons verskil. @The O: Good luck to PBHS on Sat. 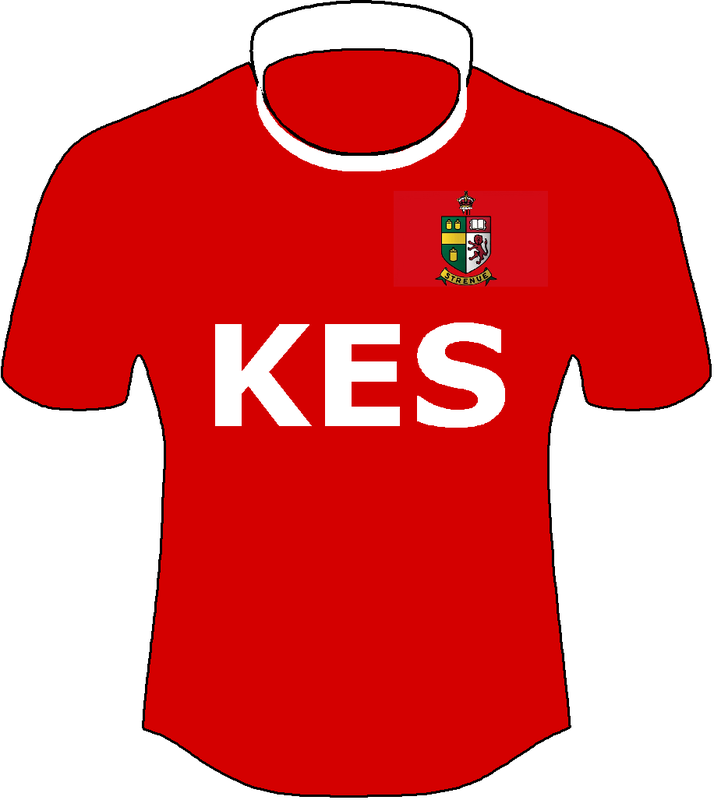 I watched the game v KES last Saturday and thought that PBHS looked a lot better than I expected. Indeed, I thought it was very even for the first 60% of the game. @Cappie: Dink nie Affies gaan die naweek Gim klop nie. Gim is die oorgrote gunsteling, nie net vir die game nie, maar ook om Nr 1 gekroon te word die jaar…gaan myns insiens ‘n 3 been resies wees Gim, Grey, Paul Roos. @4×4: Ek moet met jou saamstem oor die drie wat jy genoem het vir daai nr een spot. Hoe dit ookal sy, ons vlieg deur Kaap toe vir die Paarl Gim Affies interskole. Paarl Gim het die beter van Affies gehad die afgelope paar jaar. Dis tyd dat die bordjies verhang word. @The O: Ek hoop regtig PBHS kan weer dinge omdraai. Westville Jeppe close een om te roep. 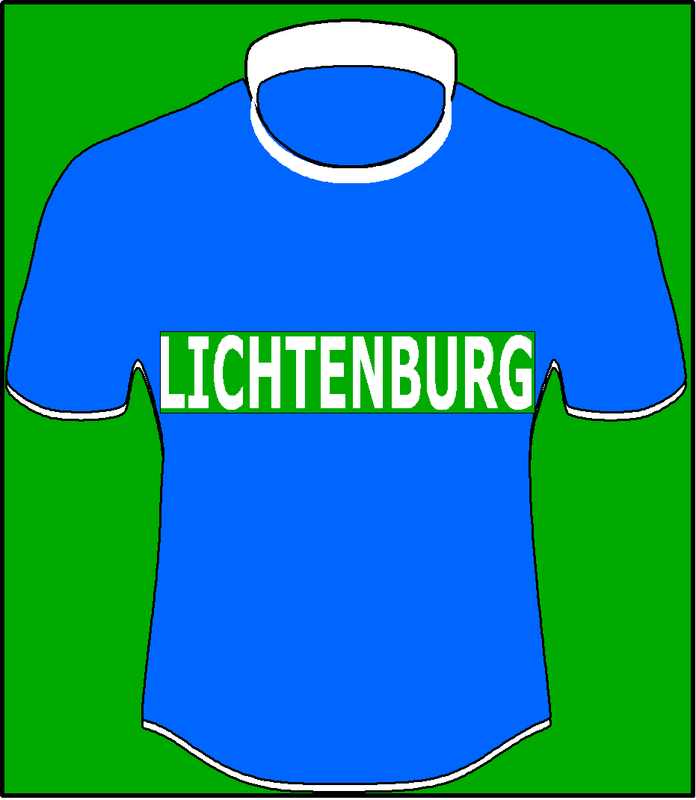 Lichtenburg al die pad teen Middelburg. Komaan Liggies! @Smallies: Alhoewel ek hoop vir Affies,wat ek gesien het by NS se my verstand Gim, maar eks gewoonlik verkeerd as dit Affies kom…..
@4×4: Wie is George Coetzee?? of praat jy van oosthuizen?? Dit sal tot n nadeel vir affies se span wees? @Wondermaar: Affies is mos nou nie net ‘n rugby skool nie…George Coetzee is ‘n professionele golfspeler en Oud Affie. Loer gerus op wikipedia! @4×4: 😀😀 oo, george vir oldboys. What’s the story behind SACS withdrawing against Paarl Boys High? @The O: Yes – lots of talent in this PBHS team. More talent than I’ve seen in the past few years. PBHS rugby remains a mystery. A big school with good quality kids and they won 2/22 matches vs KES. I just don’t understand how that happens. @KES Oldboy: Sad story-Sacs using a kid that was in HJS -theb bought by SACS and the wanted to come back to HJS as an exuse-they claim he was poached-not even playing rugby!! @The O: It’s always a great day. The schools share a similar ethos and culture. Parents behave and the boys play rugga and hockey and make friends for life!! Did Hilton lost to St Andrews isnt that a huge surprise??? @boerboel: Hierdie is een groot gemors. @Wondermaar: Hilton lost to St Andrews and beat Kingswood! @Thumper: St Andrew’s appears to be strong this year. Won all their games against quality opposition so far and drew against Grey PE. 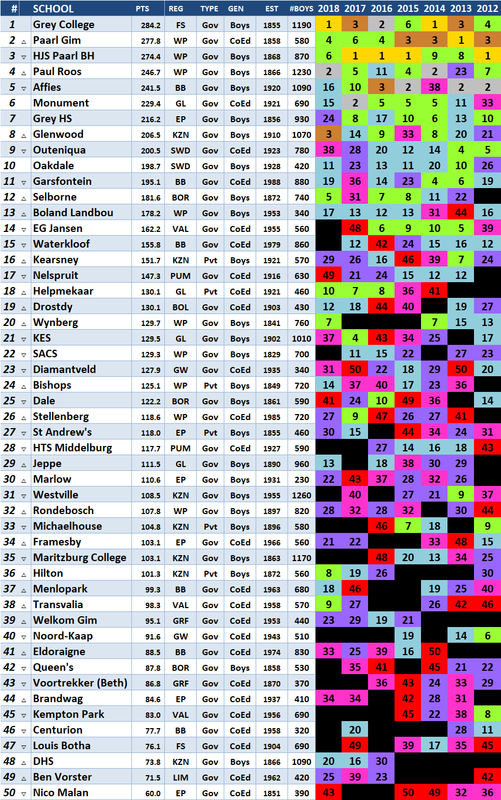 St Andrews can possibly be a Top 25 school this year, depending on the Selborne and Framesby fixtures. @boerboel: I thought SACS would know better by now. We had the same issue with them in 2014 when a boy relocated to Johannesburg from Cape Town & we were accused of poaching. It was well documented on this site. SACS suspended all fixtures against KES & uninvited us from their polo tournament. It’s a pity. @Wondermaar: Why is that a huge surprise? St Andrews are in fine form with lots of good results already. Not sure what Hilton have done to make them a rated team. @KES Oldboy: I guess it is because Hilton ended up in the top 10 in BHPa’s ranking last year (#8) – but it must also be said that Hilton did not play one top 10 school last year….putting their official undefeated status in 2018 in perspective. @Wondermaar: St. Andrew’s College is going to beat Hilton most years. They play a very strong running game which teams struggle to counter if not used to it. They have beaten: SACS, Jeppe, Kearsney, Nico Malan and Grey High only scored to draw the game at the end of the match. @KES Oldboy: Thanks for info. @PRBoitjie: With teams being made up mainly of matrics, I ignore a previous year’s team when assessing a team in the current year. PRG, HJS, Grey Bloem, Gim etc. are always good but it has more to do with the rugby culture of the whole school than the 1st team from the previous year. @RunItStraight: Hilton has beaten St.Andrew’s twice in recent years I think so it’s probably a more even fixture. Go watch them this year at SAINTS fest. @RunItStraight: Grahamstown is not looking in good shape at all. Kingswood at least offers a form of escape from the reality due to their campus like setup but St Andrews are literally on the public roads and fully exposed to the sorry conditions. Surely this must be of great concern to all who care about the school’s medium to long term future? Note: Wrong platform for this as it’s too far removed from school rugby. I was there in December and the roads around the school were fine, no issues. The school is looking fantastic. I’m sure it’s an ongoing concern and it’s been dealt with in a most proficient manner by the Chairman of the board Jaco Maree and his committee members. The school in itself is actually based in the more upmarket side of the town and you have Rhodes University right next door as a partner in maintaining standards of infrastructure. I’d be more concerned being at one of the other schools to be honest as they haven’t had the same investment by old boys and they are quite far away from Rhodes University. Hopefully Kingswood gets great support this year for their 125th year celebrations. It would be an ongoing concern but the school has exceptional leadership both board and at school level to manage that. 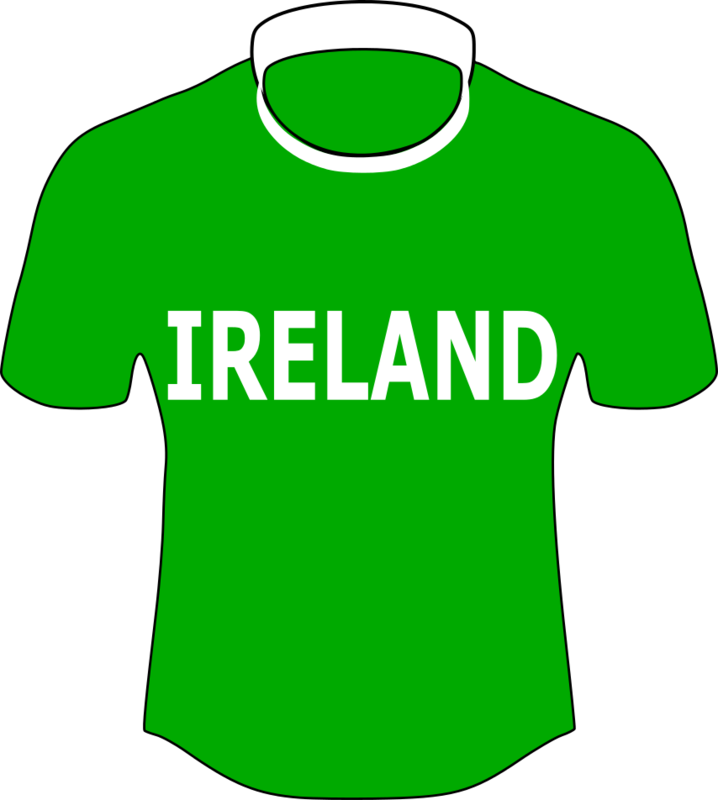 Back to the rugby now……. @RunItStraight: Hey man I’ve really enjoyed watching your inside centre Danckwerts do his thing this season. How is he doing? I heard he may have hurt his shoulder. @beet: I don’t know Beet. I hope the youngster recovers well. @boerboel: Seker n hokkie speler maar ons mag dit mos nie op die forum bespreek nie. They are possibly looking at the greater scheme of things in accordance with the pact signed by many of the schools. There seems to be quite a bit of poaching. If SACS and Wynberg stand up against it, good for them. Article below mentions craven week players been poached from Jeppe, Framesby, etc. So it’s not a SACS issue, it seems to be a shopping issue in the Paarl? Unfortunate as it relates to the very fibre of what is wrong with schoolboy rugby. I see Paul Roos only has 2 players in their squad that have not been in the school since Grade 8. 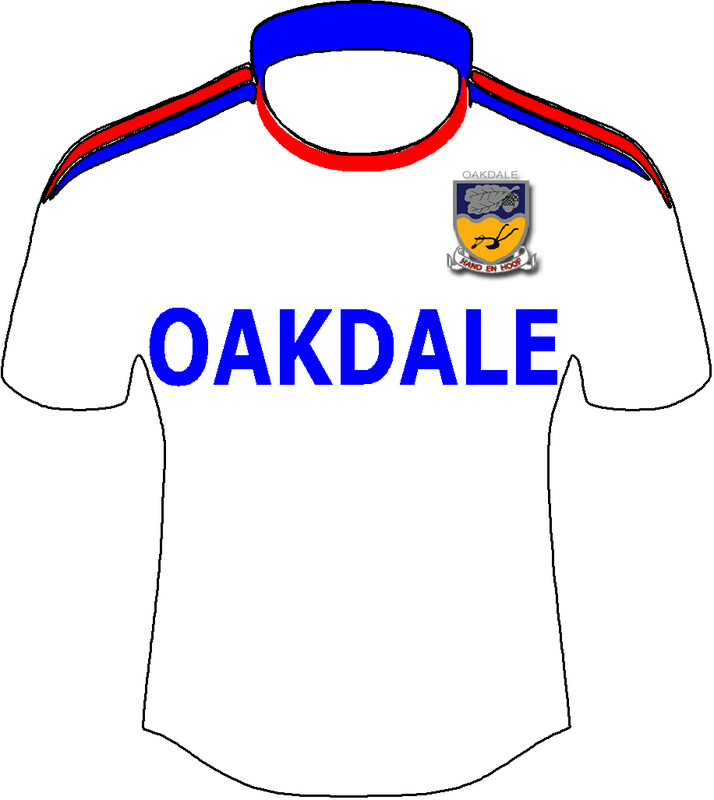 Can You give us a view in the Paarl Boys Squad? Ito when they arrived at Paarl Boys. @RunItStraight: Sad for HJS hockey. Sacs and Wynberg are top hockey schools. Wonder hoeveel skoolhoofde in BHP se top 10 ranglys so ‘n ooreenkoms sal teken….?? @RunItStraight: SACS should then explain why it is fine for them to offer a scholarship to a Stellenberg u15 cricketer but HJS not allowed to do it to one of their boys. I personally know 3 boys in that PRG u16 group that moved in the last 12 months. Not that it matters really. The HJS u16 team that played last week 1 player joined after grade 8. @Rainier: You say that St Andrew’s will possibly make the top 25. Methinks that you are damning them with faint praise. Last year, St Andrew’s was in the top 30 on all the final rankings that I saw…and this year’s team is stronger than last year’s team. They will certainly be aiming for a top 10 spot this year. @RunItStraight: WHEN A BOY /OR HIS DAD APPROACHES ANOTHER SCHOOL I DONT CONSIDER THAT POACHING-THAT IS A QUESTION OF CHOICE. I agree that as a common courtesey the headmaster should inform his counterpart.Sacs totally off the mark in this scenario. @boerboel: interesting – now waiting with bated breath to get grey, paarl gim, wynberg and sacs breakdown. of course some schools will argue scholarship/bursaries are different than “poaching”, how can a boy leave the green fields of the cape for the backwaters of paarl, it must be underhand- question is also, when a boy move in grade 11 like the stellenberg boy to paul roos, can one be only half pregnant bc it was only one boy and not three? @apple: yip-will be very similar numbers i presume. Surely the headmasters of the HJS and SACS can sit down and sort this out. Egos need to be put aside, apologies where appropriate need to be made, misunderstandings and misinterpretations need to be cleared up and trust needs to be reestablished. Cmon people in anybody’s language how is the behavior of both parties in any way in the best interests of the children that are attending those two schools. 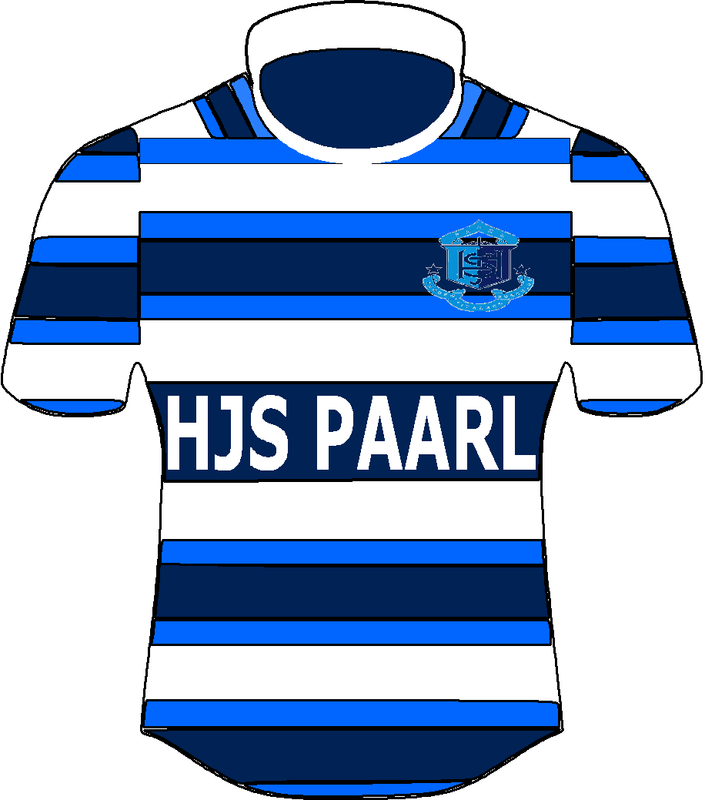 @Human Piranha: Headmaster of Sacs and Wynberg refused a meeting request with Paarl Boys. As jy die slegste speler in jou span met ‘n A++ speler (een wat provinsiaal gespeel het) kan vervang kan jy die die uitslag in span verband met tot 30% verhoog. Deur vir my te se net twee of drie spelers is later bygevoeg by ‘n alreeds goeie span beteken die verskil tussen ‘n top 20 span en ‘n top 10 span. @PaarlBok: It is not only sad for the hockey but for all the boys , their parents , supporters and old boys and for a tradition of more than 100 years . @Trots HJS (Tandem): Ja dis so waar. Politiek hoort nie in skole sport nie. Dis soos n paar jaar terug oor PRG se squad sisteem. Geen verrassing by Affies-Gim game nie, behalwe die grote van die drom wat verskil. Dalk is dit tyd dat Affies begin gehoor gee aan so baie versoeke om hulle strukture reg te kry. Begin belê in buite konsultante on by jaargroepe te help. ‘n HOD Graad maak nie noodwendig van jou ‘n goeie afrigter nie. As ek so na die agterlyn gekyk het vandag sou ek dink dat dit die eerste keer is wat hulle saamspeel. Sulke onbeholpenheid het ek in my lewe nog nie gesien nie. I didn’t see the game but apparently it was a really good performance from Bosch! Given Landbou put 60 past Wynberg last weekend, this is brilliant result. Checked the records, and last time Bosch beat one of the four big Winelands schools (Gym, Roos, Landbou, Boishaai) was in 2011. Hopefully this will set us up for a good season to come! @PaarlBok: I totally agree school rugby is king. Close one for PRG 24-18 Grey PE. Once again the ref had his say, the red card was pathetic. @Smallies: The refs are not good and it would be nice if something can be done about it. @4×4: Many old boys at the game was saying the same thing. The u/16’s had the same problem their backs just can’t spread the ball and there is always one guy that will defend in and create a overlap for Gim. I have been saying for years now the problem starts at primary school, the primary school kids in Pretoria don’t learn to PLAY rugby but to win “LIGA RUGBY”. Why do Garsies buy backs from the Cape? This Gim team really impressed me. I think they are the team to beat. @BoschBoy: I see the u/16’s also won which is very impressive. 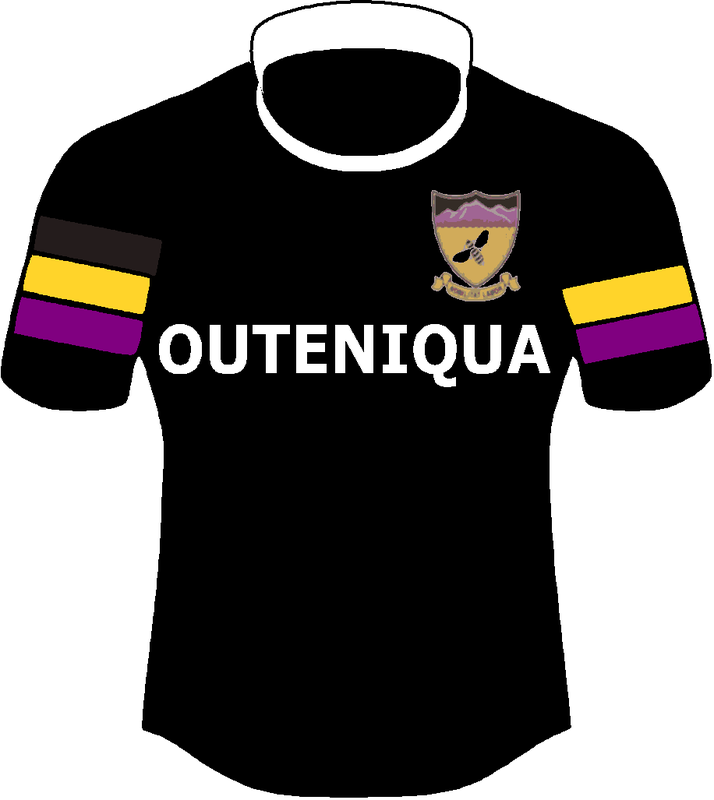 The Boland u/16 team is no pushover. 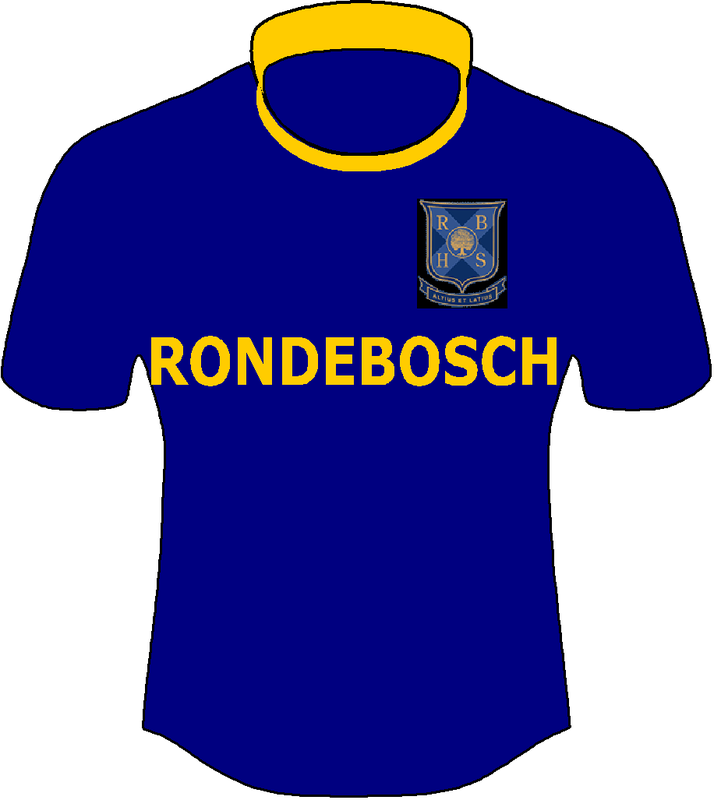 @BoschBoy: It should be a great game against St. Andrews on Thursday at the Saints festival. Bosch played well against was it Paul Roos last week? Paul Roos only just beat Grey PE today. Grey and St. Andrews drew 17-17 after grey scored at the end of the game. Looking at that, it should be a cracker of a game. @4×4:@Stier: …jou punt “Stier” op n afgrond af! Dit het boggerol te doen met “liga rugby”. Dis bloot kortsigtige afrigting, en ‘n groot leemte aan kwaliteit afrigters. Meeste van die “toesighouers”(afrigters) is soos meeste onderwysers. Hulle ken hulle vak maar baie min kan die kennis oordra na leerders toe!. Tonnel visie, koppigheid en egos, kos baie Noordvaal skole hulle sukses om sport! Geen speler ontwikkeling nie, daar word een gekoop vir leemtes in span want dis makliker om kind met talent af te rig as te ontwikkel. Ek staan net vanoggend en kyk 17 jarige kind nie 3m ver kan aangee, met ‘n nommer 9 oppi rug! Afrigter trek skouers op en antwoord daars nie iemand anders nie. Nou as jy bewus is van dit, hoekom nie daardie kind ontwikkel nie, dis afrigting. Nie die moderne glorified toesighouers nie! @Skopgraaf243: Funny that all the Noordvaal teams have the same problem at primary school level. @RunItStraight: Yeah I agree! I see St Andrews is having a really good season so far, so hopefully we should see a good game. Do you know if its being streamed? Last year, Saints streamed it on their Facebook page. @Stier: Yeah good result for our U16As. Our U15As also won too, in addition to beating Paul Roos last week. So they could be an age-group to watch in the coming years. @Smallies: die ref in die Baai was in dieselfde klas as die ref in oos london….geez that being said….Grey High baie goed gespeel..gaan nog verras van jaar! @kokkie: hoe lekker laat jy my nou lag. Ek het dit een aand vir Jimmy Smith Belton in die skeidsregters kroeg gesê. Genade hy en dan hulle wat vandag skeidsregters is veroorsaak dat vriende langs die veld baklei en stry. Eintlik ‘n skande, ene Dante wou my en nog ‘n ondersteuner ‘n geelkaart gee as toeskouers. Dit laat my altyd wonder oor daai manne in PE se vermoë . PRG sal hul game plan moet aanpas. Die hardloop ten alle koste is mooi en pragtig maar gaan nie werk teen die sterker spanne nie. PRG is ook nie soos sterk soos laasjaar nie. @guts-and-glory: Ek kan nie met jou meer saamstem nie ! Ek glo ook dit is een van die redes hoekom ons 0/20’s nog kompeterend is ( hulle speel op natuurlike talent ) en begin dan vas val want hul skills is net nie ontwikkel nie . Kyk hoe skokkend swak is die skills van sekere Springbokke wat tans Super 15 speel . Het vandag die Sharks gekyk en kon net nie glo hoe swak die skills is van manne wat rugby vir ‘n loopbaan speel nie ! Ons mors met talent en dit is nie reg dat swakhede nie verbeter word nie . Tog moet al die blaam nie op die afrigters geplaas word nie . Die spelers moet ook hulle deel doen om swakhede aan te spreek . Ek laat my nie vertel dat ‘n nr 9 nie weet hy kan nie links pass nie of ‘n haker dat hy nie goed ingooi nie . Dalk word dinge ook te maklik vir baie kinders en is hulle nie honger genoeg om te werk aan aspekte van hul spel nie ? @Stier: Garsies het nog nooit gekoop nie. Dit is die delayed option. Reading these posts one consistent theme is attacking the poor quality of refereeing.Remember no ref no game.I guarantee once you ref you wont be so quick to criticise You guys who are so vocal why dont you take up the whistle?.There is a severe shortage of refs and you will be greatly appreciated.Played many club rugby games in the UK where we had to have a opposition reserve ref us as there wasnt a ref.You get on with it and drink beer afterwards. Di tipe uitslae het al met vele rugbyskole gebeur in hulle geskiedenis. Affies se Tradisies en trots is net te sterk! @4×4: @Skopgraaf234 @4×4 As iemand van GCB en my seun wat amper klaar is met laerskool in PTA, was ek geskok in die min skills development oor die jare. Die coaches leer die spanne om hul groot seuns vir bashing te gebruik, en nie d backline om regte lyne te hardloop. Ek het al 50 keer my hare uitgetrek oor oefen maniere. Ons het hierdie jaar eers n backline coach gekry wat spasie verstaan. Scrummies wat op 12 nie kan pass nie is baie volop. Voorspelers wat heeltyd in backline staan!!!! Laerskole rugby in Noordvaal met Liga is dalk probleem, die coaches sal altyd terug gaan na bashing om close game te wen as te volhard met n running/skills game. Wat my wel ppsitief maak is die oefeninge van Garsies Hoër wat ek al bygewoon het die jaar. @rugbyman en kie spandeer baie tyd aan skills/offloading ens om n meer15 man game te speel. @David: Ek is ‘n groot voorstaander van gewigsklasse by laerskool rugby want dan kan jy appels met apples vergelyk en die seun wat 70kg weeg gaan net soveel skills moet aanleer as die ligter manne om sy opponente te klop. @4×4: Ek glo dat die nuwe hoof en BL die skuif sal maak! @David: K7LIAN@4×4: I know I keep hammering on this but once you leave Noordvaal and see how it is done in some other provinces you realize in how much trouble they are. There is no way Noordvaal can compete without players from other regions. The argument that it is all down to coaching doesn’t explain the general lack of skills in Noordvaal primary school kids compared to other unions. The coaching in many Cape schools are just as bad believe me. The only real difference is the competition structures. My son was told at age nine not to run with the ball in Noordvaal. The reason was simple his coach said kids at age nine can’t catch so we kick on the fullback get him to knock and we move up field. He knew it was rubbish rugby but we won games that way and that is all that counted. I think it was called the top twelve or some rubbish. Like @Skopgraaf243: said egos is a problem and to play “liga” at primary school level is all about egos. Go stand next to a u/10 rugby game in Noordvaal and in the Cape and look at how the kids play, how the coaches and spectators act, the difference is unbelievable. Fact is there is a problem in Noordvaal primary school rugby that is hurting their high schools and nothing is done to fix it. I would like to congratulate Nico Malan on a good win yesterday. Playing without their brilliant flyhalf they went into halftime 24-5 down and there was glimpses of writing on the wall. But playing with the wind they used their opportunities well and took the lead late in the match, winning 36-29. Interesting that Langenhoven Gim lost another match earlier this season after turning around with a large lead and that makes me wonder about team tendencies and how to avert the same bus running over you every match. 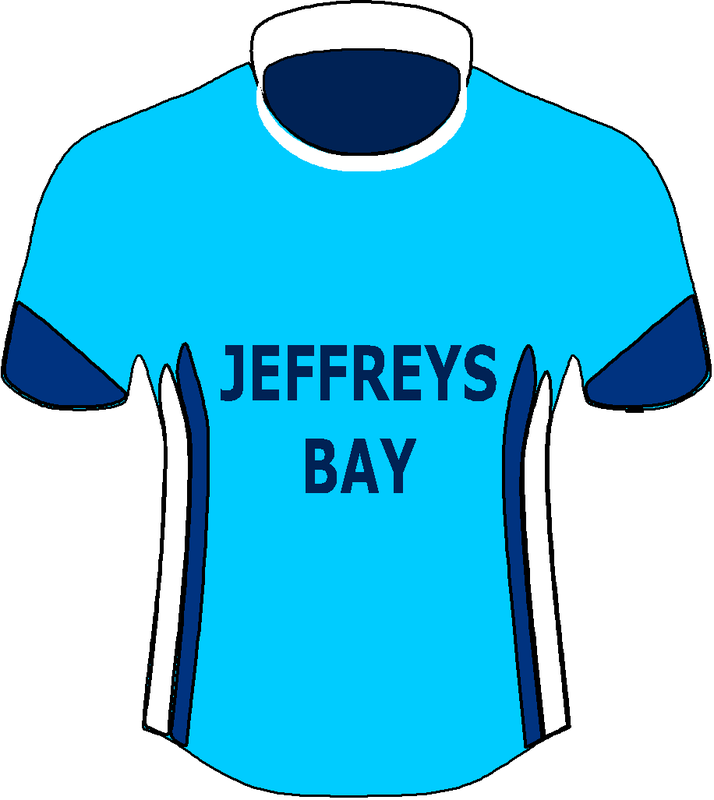 Our JBay /13 team has conceded 7 points within the first 60 seconds of our last 2 matches and only seem to switch on after that score. We might have 2 play our second half first. 2. Meeste van die groot laerskole in Pretoria speel rugby op belaglike klein rugbyveldjies – dit was nie altyd so nie. Wat dan gebeur is dat die gameplan aangepas word om aan te pas by die klein veldjies. Groot one off runners word dan die ding… geen backline kan die volle wydte vd veld gebruik nie want as die 13 pass, is die vleuel langs hom reeds oor die kantlyn. Hoe kan jy spasie leer gebruik op sulke klein veldjies? 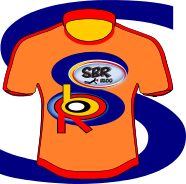 @Stier: … bly asb in jou baan …..Ons geniet ons rugby hier in die Noordvaal ……jy klink soos n regte rugby snob …. hou jou kritiek vir jouself …. sal graag wil weet of jy self provinsiaal gespeel het …. 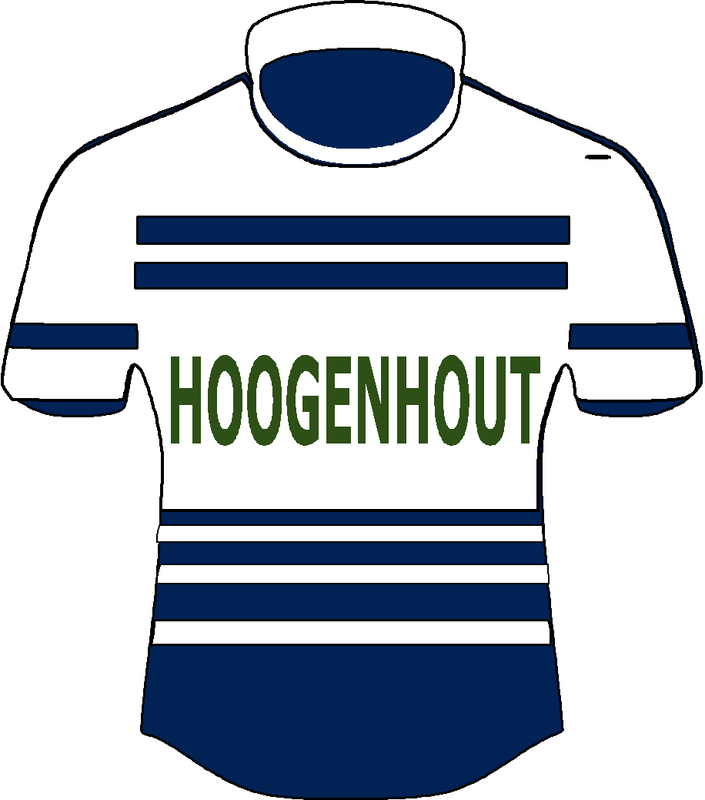 @Rugbyman: Ek het nog gesien dat as Skole wat nie – Liga speel, hardlooprugby speel, as daar 1 min oor is en hulle kort een punt om te wen nie!…. Hulle skop almal pale toe as dit binne hulle skopper se bereik is! Wen rugby tel… Nie Liga, Liga tot Wereldbeker. Resulate tel! Soos Dok Edwards se spreekwoord lui: Om deel te neem is goed, om te wen is beter, om dit alles te geniet is die beste. Ek dink die interskole tussen die twee Afrikaanse skole was fantasties gewees hierdie jaar. 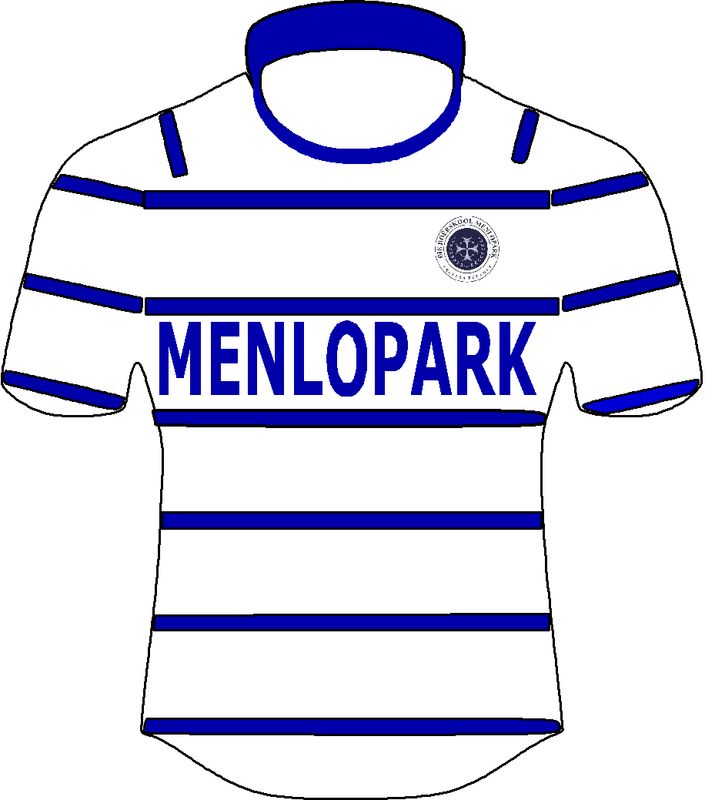 Met AHMP wat saam getoer het, is daar Rugby, Gholf, Netbal en Hokkie gespeel, ek dink hierdie interskole kan net nog beter raak! Baie geluk aan Gim met julle puik resultaste, die wedstryde was hard en in goeie gees gespeel. Die weer was nie altyd goedgunstig nie en die wind het lekker gewaai, maar die ervaring vir die spelers en ouers en afrigters was sekerlik ongelooflik. 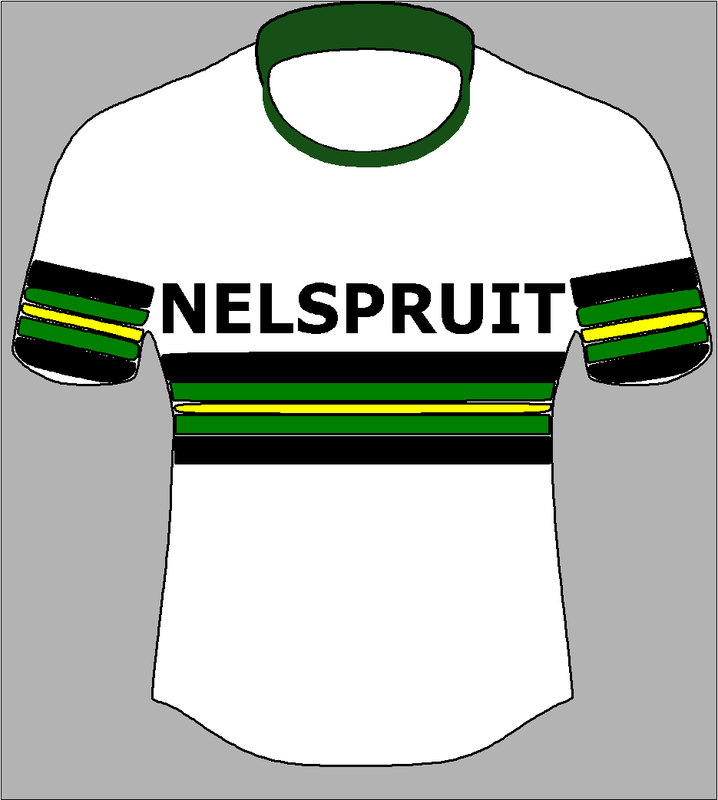 Sien uit om Gimnasium weer in Pretoria te sien in 2020 wanneer AHS 100 jaar oud is. NS. Sonder enige verwysing na enige spesifieke wedstryd of insident, wil ek net byvoeg dat die Westelike Provinsie Rugby Unie se Skydsregtersvereniging net so swak en onbeholpe skydsregters het as die van die Blou Bulle Rugby Unie se skydsregtersvereniging. Nou dat ek wedstryde in die Noordvaal en in die Kaap besugtig het, is my beskeie mening dat die skydsregters van streke nie die tuisspan bevoordeel nie, net dat hulle baie pateties is. Soveel so, dat dit voorkom asof een span gewoonlik bevoordeel word. @Bere007: Looking at how Noordvaal schools are struggling to field more than two or three teams per age group I wouldn’t be so sure that everybody are enjoying their rugby in Noordvaal. Hockey seems to be growing much faster than rugby. @Rugbyman: On average I don’t think the primary school coaching in the Cape are better than Noordvaal especially at the smaller schools. Why the big difference in skills? Look at Florida primary, they buy boys from the Cape at u/12 to make sure they have a strong u/13 team. They are the only Noordvaal primary school that can compete at Marlow every year. @Stier: Stier jy bedoel seker sokker. Sokker groei egter orals. Affies stamp vir Helpmekaar en kry groot lof vir hulle 15 man rugby,groot verbetering na NoordSuid. Helpies vat hul pak,geen gekerm. 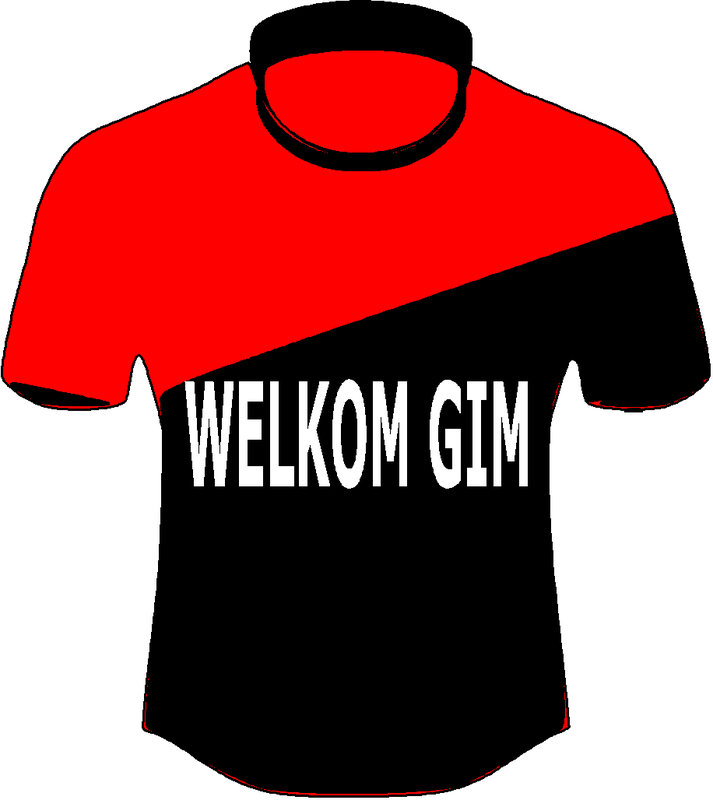 Gister stamp Gim vir Affies en o hel rugby in Noordvaal is in groot moelikheid. Shame. Affies is nie Nooordvaal nie,die lewe gaan aan. Affies gebruik al jare ouens soos Fourie du Preez en Matfield as konsultante. Wat sê Edwards van Affies se 0/19 speler? Is hy ook post matriek maar dis ok omdat hy van Affies is? Nee wat,klomp kla kouse. Baie geluk Gim en baie dankie vir julle bydrae om vir blindes te wys dat Affies nie alles is nie. Ek dink nie Gim kry genoeg krediet vir die oorwinning nie. Rugby is rugby en baie lekker, baie lekker om te wen, maar om deel van IETS!!!!!!! te wees bly die beste. DIE ROOI! DIE GEEL!, DIE GROEN! Rugby is rugby en baie lekker om te wen, maar om deel van IETS!!! te wees( onbekend vir die buitestaander) bly die BESTE!!! DIE ROOI! DIE GEEL!! !, DIE GROEN!!! Sien Jeugland van Kempton park is in die semi finaal van die PUK reeks met goeie wen oor Potch Volskool. Well done. Hul beste span weer in jare. @Wonder: jy kla dat Gim nie genoeg krediet kry nie, 90% van jou post gaan oor affies, gee Gim die krediet en hou op kla. In die noorvaal wil almal maar vir affies wen, maak nie saak wie wat sê nie. @Rugbyman: Dit was lekker om weer teen julle te kon speel.Ek moet se was verbaas oor die seuns se gedrag,het gedink daar gaan baie insedente wees maar die seuns het mekaar op gehelp na n tackle as een span n beseering gehad het het die ander belangstelend nader gestaan, dit was n lekker dag.Geluk met julle eerstes hulle het ons in die laaste 15 min van die veld gespeel en daai no15 is n monster wil nie graag in sy pad wil kom nie. Net een kritiek julle spanne van O\14 speel met daai opskiet defence taktiek maar is seker 75% van die keer onkant ek weet julle is baie daarvoor gestaf maar n ou gaan n ref kry wat op een of ander stadium n geel kaart gaan uit ruk. @Wonder: Streef altyd daarna om beter te wees, behalwe as jy ‘n boks is, moet nooit daarna streef om ‘n beter boks te wees nie. Baie geluk aan Paarl Gim vir ‘n wonderlike sportdag aangebied. Paarl Gim is ‘n passievolle skool wat baie nederig en goed gemanierd is op en af van die veld. Die uitslae van die dag het my heeltemal verbaas. 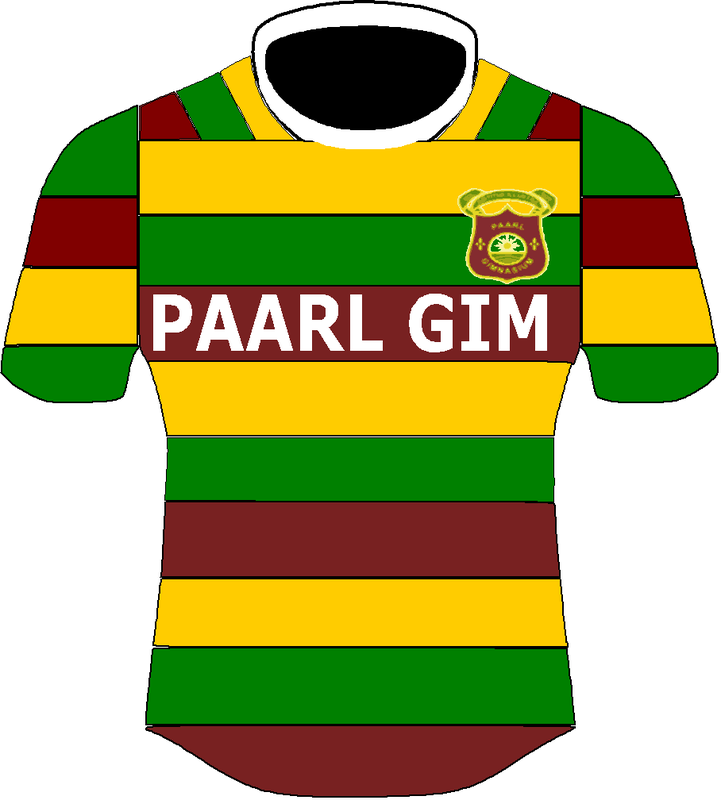 Ek het verwag dat Paarl Gim se eerstes Affies sal wen, maar glad nie dat omtrent al die spanne dit sal regkry nie. Toe ons daar inry vra ek vir die kaartjieverkoper van Paarl Gim (ek dink hy is ‘n standerd sessie) wie speel vandag hier? Hy sê baie opgewonde: “Affies teen Paarl Gim oom”. Ek vra toe wie hy dink gaan wen waarop hy antwoord: “Ek weet nie, dit gaan ‘n grote wees”. Dit het maar net beaam watse respek daar tussen die twee skole is. Dit gesê, ek dink Affies het baie (meer as ooit) geleer uit hierdie ekpedisie en hulle sal uit die lesse uit goeie vordering maak, nie net vir die res van die jaar nie, maar ook vir die opkomende jare, sodanig so dat hulle volgende jaar met die herontmoeting in Pretoria ‘n gelykmakereffek kan hê. Lesse te leer en wat Paarl Gim toepas is dat hulle ook rugby as ‘n baie belangrike aspek van opvoeding sien en dat hulle daarop roem dat elke speler geregtig is op topafrigting. Die sewende en agste spanspelers moet dieselfde kwaliteit afrigting kry as die eerste en tweede span spelers. Daar word nie onderskeid getref nie. Net soos elke leerder geregtig is op top akademiese onderwysers is die sportspanne geregtig op top afrigters, daarom investeer Paarl Gim in professionele afrigting in alle dieptes om seker te maak elkeen kry toponderrig. Pieter Rossouw en sy span afrigters het goeie sisteme in plek en daar is goeie eenheid waar al die spanne dieselfde tipe patrone speel wat op die oomblik geskoei is op effektiewe wenrugby. Daar was baie strafskoppe aan Paarl Gim gegee maar met goeie rede. Hulle weet hoe om dit af te dwing veral in die rucks en mauls. In die los weet hulle ook hoe om ‘n bal te behou en ook hoe om een af te neem. Verdermeer kry hulle die verdediging ingetrek in die middel met ‘n paar vinnige stampe wat die lyne buite oopmaak. Paarl Gim se lynstane is uitstekend en twee uit drie kere druk hulle ‘n drie van ‘n lynstaan naby die doellyn af. Ek glo uit hierdie interskole word baie geleer en ek dink Affies is op die regte pad om met hom voort te gaan. Leer by die bestes, pas aan en verbeter dit! Ek is opgewonde oor Affies se toekoms. Hou die spasie maar dop. Sterkte vir die res van die seisoen manne. @Cappie: Dankie vir daai opsomming. 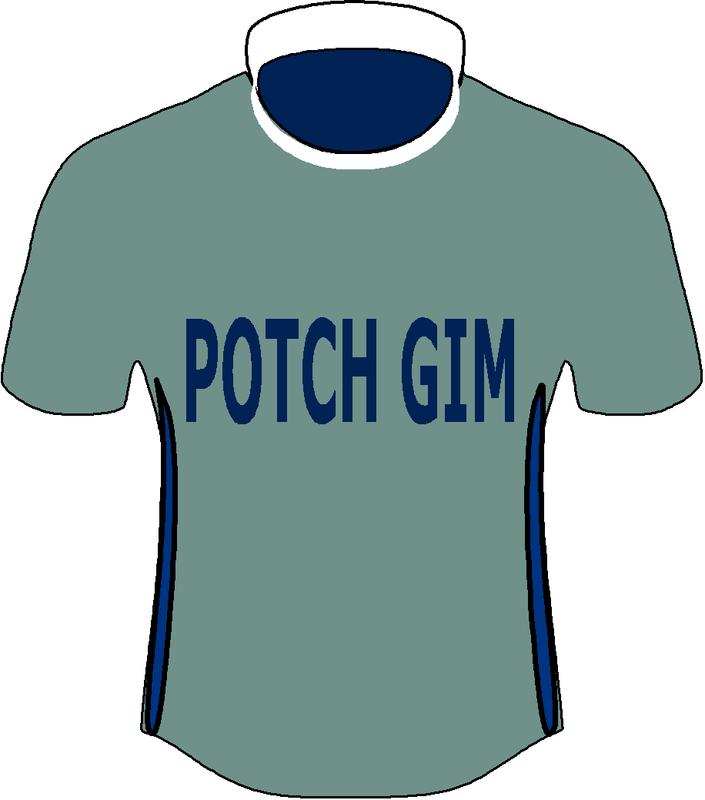 Ek het al vroeer ‘n opmerking gemaak dat Grey, Boishaai, PRG en Paarl Gim die jaar die pas sal aangee. Ek het Saterdag aand ook ‘n baie insiggewende gesprek met Fritz van Heerden gehad en sal die inhoud daarvan met jou deel. Maar ek vermoed dat Duitser Bosman ook baie insae gehad het met die strukture by Gim, dalk tyd dat Nico Serfontein as Oud Affie ook gekonsulteer word? @4×4: Nico is ‘n great coach. GCB moet ophou kla oor skeidsregters. Spanne word gereeld geboor in Bloem. Grey PE het PRG behoorlik skrikgemaak. Gim is goed maar een dimensioneel. Stem heel hartig met jul saam. Ons hoop met die nuwe skuiwe by AHS gaan ding “heelwat” verander. Ek vra ook al geruime tyd dat ons die dinge aangaande afrigting/konditionering en ander aspekte van voor en na n wedstryd asb moet aanspreek. Dus om net meer profesioneel te raak soos ander van die skole teen wie ons meeding. Wat ek wel nie hier gaan doen is om my mond uit te was nie – dink nie dis die regte forum daarvoor nie. Kom ons vertrou dat ons nou na amper n honderd jaar dinge gaan laat verander en n meer profesionele aanslag daar gaan stel wat tot ons almal van AHS se voordeel sal wees. om dit te geniet is nog beter. Maar om deel te neem, dit te geniet en in die proses kompeterend te wees is sommer alles volgens my! @Pietretief – dankie, ek stem saam. @sewes: Dankie, die games was in goeie gees gespeel soos dit moet wees… Daar was nie een strafskop vir vuilspel nie! @Ooorkant Loftus: Elke keer as AHS die bal vir meer as 4 tot 5 fases gehou het, het hulle probleme veroorsaak en die regte vrae gevra. Swak hantering het egter die heeltyd dit moeilik gemaak. @4×4: jip goeie opsommings hierbo.Gim op 90 p v vlake beter gecoach as Gim. 019 talentgewys nie swakker as gim nie-hanteerfoute,gebrek aan geduld,verkeerde opsies die rede vir die verloor. @Rugbyman: Ons haal defenitief nie die Affies-coaches uit nie. Hulle sit alles in en doen baie moeite. Oor die algemeen presteer die Affies-spanne ook baie goed. Wat ek graag wil tuisbring is dat die interskole teen Gim baie vir Affies beteken en gaan beteken vir die res van die jaar en die toekoms. Dit is in terme van die professionele benadering wat Gim volg waaruit hulle geleer het. Affies kan vir die onmiddelike sekere verbeteringe aanbring met hulle huidige afrigtingskorpse en dit verder vat met meer professionele byvoeging in die toekoms. Ek sê weer, hou Affies maar dop vir die res van die jaar. Hulle sal nie weer sulke loesings kry regoor al hulle spanne nie. @Cappie: Baie dankie vir die positiewe kommentaar en komplimente. Ek weet dit is maklik om na die tyd te sê dat dit ‘n goeie en lekker naweek was wanneer jy wen, maar dit was verlede jaar ook ‘n aangename ondervinding vir ons almal. @Weskusklong: “Gim is goed maar een dimensioneel”. Ek sal dit waardeer as jy daardie stelling kan verduidelik en of uitbrei daarop. @boerboel: Daar mag dalk ‘n wanpersepsie wees wat ek will regstel. Die huidige eerste span afrigters respekteer ons. Die gedagte gang is om hulle hande te versterk deur ‘n ondersteunings netwerk te skep, nie net almal te “fire” nie. Ek weet van een afrigter by die A spanne wat met die atletiek/rugby oorgang seisoen nog betrokke moes wees by die atletiek terwyl hy ook sy rugby span moes afrig en dan nog ook vraestelle merk en aandag skenk aan akademie, een mens kan verseker nie al die werk in ‘n dag inpas nie. Haal druk van hulle af, ook tog net mense. @Bush – Comprehensive victory for College against PBHS. Many close games but overall a resounding College victory. @Smallies: Gedog jy is GCB? @boerboel: ja net so min soos jy Boishaai is…. @4×4: Ja nee,jy sukkel maar met kritiek teen Affies. Meisieskool het julle hard gestamp. Monnas wag nog vir julle. 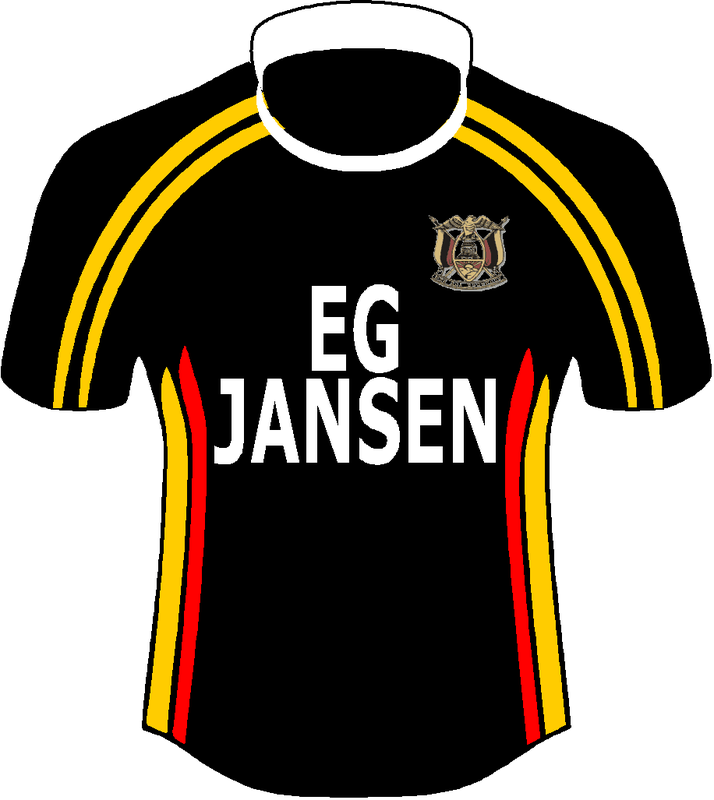 Terug na jou kommentaar na Affies vir Helpies gewen het,eerstens vertel jy op die blog van die jong agterlyn,meestal 0/17 spelers, PietRetief help jou reg en Beet post die spanlys. Skielik is die een 0/17 speler toe 0/19,lekker gelieg. Ook het jy ons vertel van die 0/16 seun wat eerstes gespeel, weer gelieg,dank vir PietRetief wat jou weer tereg wees. Affies 2016 vir Grey gewen? Twyfel, miskien jou huiswerk doen voor jy post en ophou om ander te beledig net omdat jy nie kritiek kan hanteer nie. Raak gewoond daaraan,Affies gaan nog baie verloor. @BuffelsCM: Ek skaam my vir sekere ouens wat onder die Boishaai trui blog . Ek glo werklik dit is nie oudstudente van die skool nie want iemand wat onder Kallie Koch , Tom Engela of Louis Knoetze skool gegaan het sal nooit so onbeskof of arrogant wees nie ! @Wonder: Ek weet dat wiskunde nie die sterkste vak op Fochville was nie, en dat abakusse verruil was vir spanners, maar as jou 10, 12, 11 en 14 nog Graad 11 is (met afwisseling van Barkhiuzen op 15 wat ook 16 is) en Onder 17 dan is meeste van die agterlyn onder 17..kom ons slim Gimmie mense help gou..lig gou jou vingers op..tel nou saam…hoeveel agterlyn spelers is daar in die agterlyn? Kom ek stel dit meer eenvoudig in taal wat jy verstaan…kom ons se elke posisie in die agterlyn verteenwoordig ‘n spanner..nou van 9 tot 15 is daar dus 7 spanners..nr 9 is ‘n 3 spanner, nr 13 is ook ‘n 3 spanner..nr 10, 11,12, 14 en 15 is almal nr 4 spanners. Vat nou die Nr 3 spanners weg…hoeveel nr 4 spanners bly oor? Nou vir les 2…As jy graad 11 is beteken dit dat jy heel waarskynlik in Graad 10 jou 16de verjaarsdag gevier het, en erens in Graad 11 jou 17de verjaarsdag gaan vuur (die opmerking word gemaak met die aanname dat jy nie op Fochville op skool was nie). En as ek na my vorige posts kyk maak ek net melding dat die seuns 16 jaar oud is en nie onder 16 nie. Ek vermoed dat jy daardie gedeelte self ingelees is, maar dan weer was lees ook geskat aan die matriek uitslae nie die sterkste vak op Fochville nie. @Wonder: En as jy dalk gewonder het waar jy sarkastiese antwoord sy ontstaan het, hoef jy nie verder te gaan kyk na jou post waarin jy jou mond uitwas teenoor Potch Gim nie. Dit wil voorkom of jy net in die klein dammetjie swem tussen Fochville en Garsies en al die ander skole is basta. Eerstens wil ek net Paarl Gimnasium baie, baie geluk wens met die naweek se resultate teen Affies, ek het vir my seun gese hulle is in vir baie harde wedstryd gebaseer op verlede jaar se resultate (10 wen, 9 verloor), die jaar was dit ‘n slagveld (6 wen, 15 verloor en 2 gelykop). Hier is my vraag, watter ander skole is daar in die land wat meer as 22 rugby spanne in die veld kan stoot wat kompeterend kan meeding in alle spanne, want ek dink dit is Affie se probleem, elke jaar is daar net een skool waarteen Affies speel (Grey College) wat kan meeding met Afiies in al die spanne en nou is daar twee (Grey College en Paarl Gimnasium), al die ander skole is dit weghol oorwinings, ek verwys na die laer spanne (3des – 10des en C-F). Hier en daar verloor daar in laer span, maar die meeste wedstryde wen Affies ver, die seuns word nie getoets nie, die afrigters gee nie regtig om oor die regte kombinasies as hulle span +40 teen die ander span aanteken. Niemand leer hieruit nie. @AffieOuer – nou gaan jy pakslae vat! 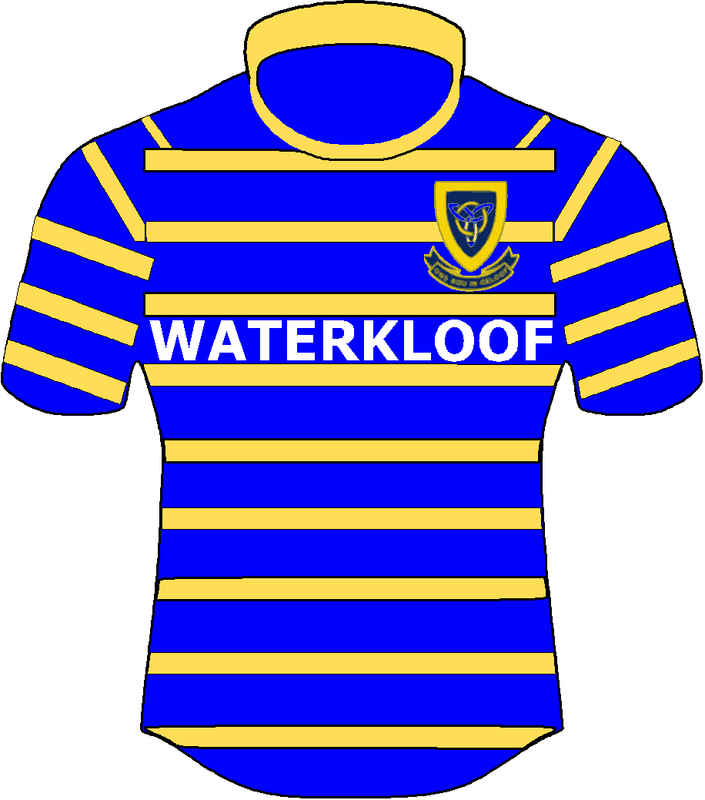 @AffieOuer – JR: Here in the Cape Boishaai and Paul Roos field A to F teams at age group level and ten or eleven u/19 teams. There could be more schools but I know those two can field at least 28 teams. 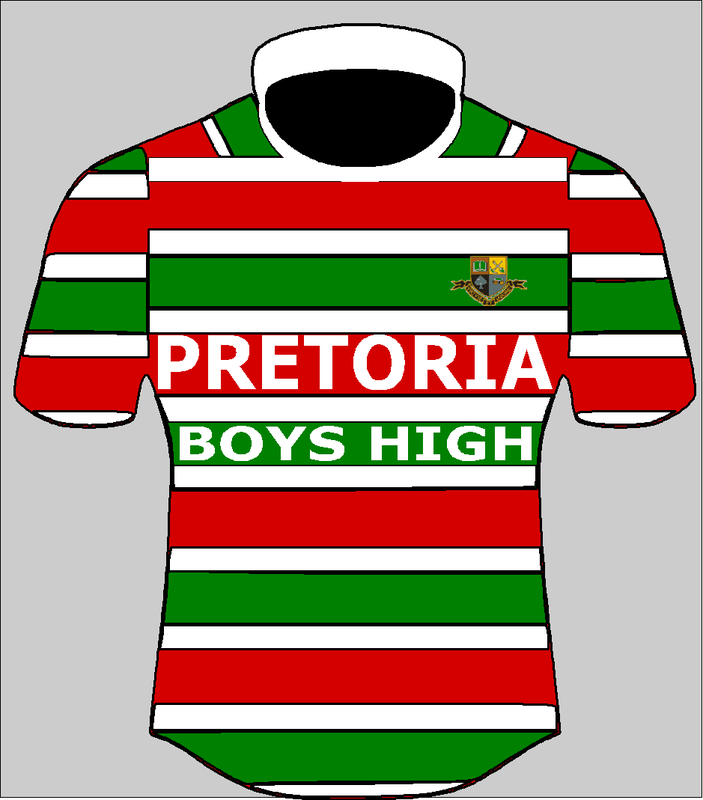 I here Boishaais third team won 40-19 against Brackenfell first team. Does anybody know if this was their first team or a combination team? @Wonder: Net om te kwalifiseer, die agterlyn wat teen die Italiaanse span by die World Festival gespeel het…ek merk op dat ek nagelaat het om na ‘n spesifieke wedstryd te verwys. @Trots HJS (Tandem): Met verwysing na jou “post” gisteraand 15 April: ek glo die meeste van die bloggers besef darem dat mense wat hier kommentaar lewer nie noodwendig verteenwoordigend is van die skooltrui wat hul dra nie. Dit kan egter nogal ‘n pyn wees om na sommige se gedurige negatiewe kommentaar te luister. @AffieOuer – JR: Dit bly ‘n uitdaging om teen seunskole mee te ding in veral die laer spanne, as gevolg van julle diepte. Daarom is ons nogal trots op die prestasie van daardie spanne die afgelope Saterdag. Dit kan egter nie gedoen word sonder goeie afrigting nie. Dalk moet jou vraag wees watter gemengde skole met Affies kan meeding…. Soos reeds hierbo aangedui het Boishaai en Paul Roos wel meer spanne. @AffieOuer – JR: Hierdie is tog nie ‘n nuwe ding nie, ek sou dink dat Affies al dekades lank baie meer spanne as ander Noordvaal skole het. Dis hoekom hulle bepalings teen skole soos Diamantveld verkies. Ek dink wat ‘n verskil maak is dat skole soos MP en Garsies ook van die room op /14 vlak skep deesdae, wat miskien Affies se diepte beinvloed. @Stier: it was their first team. Buiten rugby het PRG 17 hokkie spanne (meeste spanne in die Wes Kaap, miskien in SA) en 6 sokkerspanne ook. Affies se seunshokkie gaan beslis lig in die volgende paar jaar. Neville Rothman van PRG het die jaar soontoe geskuif en is die beste in die land. @BuffelsCM: Dankie vir die terugvoering, speel Paarl Gimnasium (ek neem aan julle) teen Paul Roos Gimnasium en Paarl Bois High met al julle spanne (23 spanne)? Hoe vaar julle teen die skole (wen/verloor verhouding). As die verhouding goed is, dan dink ek Affies moet daaraan dink om hulle beplalings te verander, help nie hulle speel teen bv: Kes (King Edward VII) en die spanne wen 23/0 nie, soos verlede jaar die geval was nie. Weet nie wat die jaar gaan gebeur nie, Affies speel hulle oor twee naweke. Ek wil niks wegvat van Kes nie, hulle is ‘n goeie skool met ‘n baie ryk tradisie. Ek wil hou by my vorige stelling, Affies se rugby gaan alleenlik verbeter as hulle getoets word soos hulle getoets was die naweek, sy seun het van die veld af gekom en vir my gese dat jy nie kan onthou wanneer laas hy so ‘n harde wedstryd gehad het nie. @AffieOuer – JR: PRG kon byvoorbeeld nie n enkele wedsytryd laasjaar teen GCB wen nie. @PaarlBok: Scroll op tot bo-aan die blog.Wat staan daar? @Weskusklong: Verskoon my onkunde wie GCB? @AffieOuer – JR: Results for all the games the last two years, if my info is correct. @Smallies: GREY COLLEGE Bloem of Boys? @Stier: Thanks for this information, very informative. This answered my question, Affies, Paarl Bois High (+28 teams), Paarl Gimnasium (23 teams), Paul Roos Gimnasium (24 teams) and Grey College Bloemfontein (28 teams, already taking place) should have interschool events, plus KES (23 teams, already in place), Maritburg College (25 teams, already in place), Pretoria Bois High (23 teams, already in place) and Westville (+20 teams, already in place but not every year) and mayby Glennwood (+20 teams, already in place but not every year) and Affies should drop die rest, because the other schools just do not have enough teams. @AffieOuer – JR: Jy is duidelik of nuut tot die blog, of jy is ‘n namaaksel van ‘n ander blogger, of jy is Pierre Edwards(!). AHS, en enige ander seunskool, kan teen die meisieskole derbies he, net deur ‘n twee-vir-die-prys-van-een ding te doen, i.e. Vang ‘n groot meisieskool, wat so 15-spanne in die veld kan stoot, en ‘n ander kleiner skool, wat net 8 of so, spanne in die veld kan stoot, en mix and match. Dit gebeur dwarsoor die land en daar’s niks fout daarmee nie en jul rugby sal nie daardeur verswak nie, inteendeel, die kans is dat dit kan verbeter, want nou speel jul 5e span, teen Kleinerskool se 1e span, ens. en dit kan ‘n lekker harde wedstryd wees. Die lekker ding is, dan hoef julle nie almal op vliegtuie te sit nie, en tweedens, jul kan moontlike beter bande bou met skole naby julle. @boerboel: sover my kennis strek boys…. @Stier: @Trots HJS (Tandem): @Weskusklong: @boerboel: Ek sien hierbo dat SACS onttrek het teen Bois. Is dit agv die die reen oor die naweek, of is die busrit te ver, of het hul twee keer gedink na die Durbanville fiasko? @AffieOuer – JR: Ek tel jy kry 10 skole met meer as 22 spanne om teen te speel. Jy moet vir n seisoen darem minimum 15 Saterdae speel. Jy kan gerus Oakdale Landbou ook in reken as n skool met 22+ spanne. Nie n groot skool nie.+/- 450 seuns. Sal goed wees as daardie stadsseuns n bietjie warm mis aan hulle voete voel. O ja onthou daar is mos groot skole met baie spanne wat oornag mos net onttrek as hulle 1/24 verloor op die plaas. Gelukkig kry jy n skool soos GCB wat oornag hulle plek inneem. Vir ons maak dit nie saak hoeveel ons verloor nie, maar wel hoe ons verloor of wen. @AffieOuer – JR: Hoe is dit moontlik dat Boishaai meer spanne in die veld stoot as die magtige Paul Roos? Daar is tans net 5 skole waarteen Affies speel met +20 spanne. En ja dit is wat Affies probeer doen is om die laer spanne teen ander skole te laat speel, maar dit werk nie. Die aantal leeringe in ‘n skool bepaal ook nie die sterkte van die skool se rugby nie, soos die naweek gesien, soos ek het verneem is Paarl Gimnasium net so by 500 seuns ek dink al die seuns speel rugby om soveel rugby spanne te kan he, kan nog steeds nie glo hulle is so ‘n sterk rugby skool nie of wat van julle beskyf as ‘n meisies skool, as Paarl Gimnasium ‘n meisies skool is dan is daar nie baie seuns skole in die land nie. Hier is my versoek; kan die +22 spanne skole se blogger wat teen ander +22 spanne skole speel net die wen/verloor/gelykop Blog, ek wil net so ‘n idee kry waar le die rugby krag in die land. Die vraag aan jou is wat is besig om te gebeer met Grey College rugby, ek glo glad nie dit is Affies wat beter word nie, my opinie is dat Grey rugby besig om swakker word, en dit bevestig my bekommernis, rugby word dan swakker in die land. Ek verwys glad nie na julle A-spanne nie, die meeste skole se A-Spanne is baie kompeterend. Ek verwys na rugby as ‘n geheel by Grey College. AHS Wedstryd opsomming 2014-2018 (alle spanne vir die jaar). My Bron is die uitstekende affierugby.co.za webtuiste van Johan Snyman. @AffieOuer – JR: Ja, jammer dit was 2017 die beter jaar en 2018 50%, maar ja ek dink talent word tog meer versprei in skole veral in gauteng, maar dit us tog n goeie ding, of hoe? @Wondermaar: As dit die rede is dan stem ek saam dit is ‘n goeie ding, ek het maar net gewonder of daar ‘n ander rede was.Sien julle die 18de Mei. @AffieOuer – JR: You don’t need so much introspection. Affies remains a real powerhouse of SA Schools rugby. Grey CB are the benchmark & your results last year winning 50% away was outstanding. Paarl Gim’s results against you on the weekend we’re unbelievable but as someone’s pointed out here, the youngsters generally don’t travel well. The gaps in the different “leagues” are still concerning. As you point out, KES don’t win a game vs Affies. Grey PE battle against Paul Roos & GCB. The Cape Town southern suburbs schools hardly win a game against the Winelands schools and so it goes. And these same schools I have listed here as losers are giants in their own regions eg Grey PE hardly lose a game to St Andrews. KES hardly lose any games in JHB other than vs Jeppe. 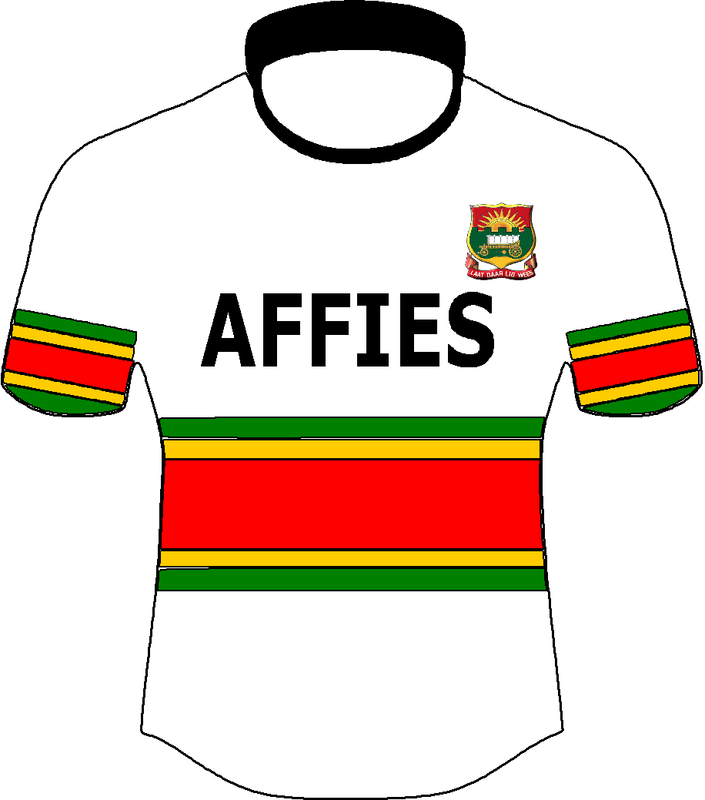 College & Westville have great depth but also can’t compete with Affies. Ja nee, Grey se rugby is baie swakker as in die verlede. Ek verstaan nie hoekom hulle nog NS en Wildeklawer toe genooi word nie. @AffieOuer – JR: These stats don’t necessarily mean much. 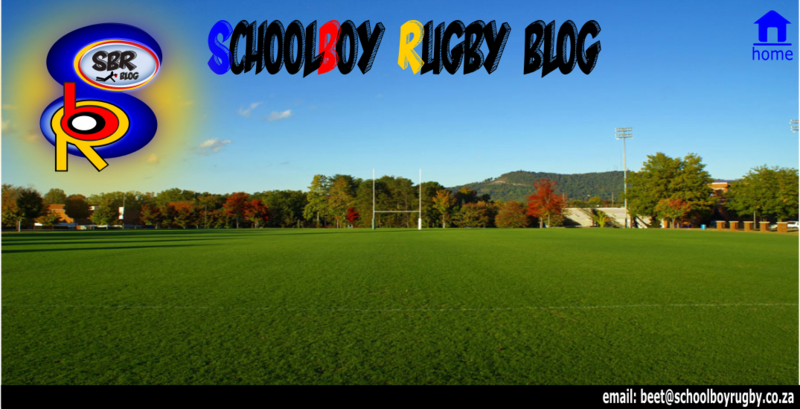 The ebb and flow of schoolboy rugby, allowing for better years than others, doesn’t necessarily mean Grey are getting weaker, it would seem over the period that Affies are improving if you look at the stats OudAffie posted in the following post. If as you say Grey are getting weaker (rather than competitors upping their game), how do you arrive at SBR generally getting weaker in SA? What is completely evident is the concentrated rugby strength and talent in fewer schools. Most schools can’t compete with the 2 or 3 regional powerhouses, and this was less the case 20 years ago. Whether that’s good for rugby development is a separate debate. @PaarlBok: Sorry to burst your bubble but the best schoolboy Hockey coach in South Africa is Mike Bechet. Legendary ex-Maritzburg College coach and currently at Jeppe where, unsurprisingly, their hockey has gone to new levels. His winning percentage is close to 90 percent over 30 years. @Bwana: I don’t follow hockey, but I think that Bechet has reached his sell-by date. For example, the team that he coaches (u16A) recently lost to a weak St John’s u16A team that has lost most it’s matches this season, including a 9 to 0 defeat to Wynberg. There are definitely less children playing rugby in Pretoria. Some primary schools can have up to 1900 kids and most schools will only have two teams per age group. 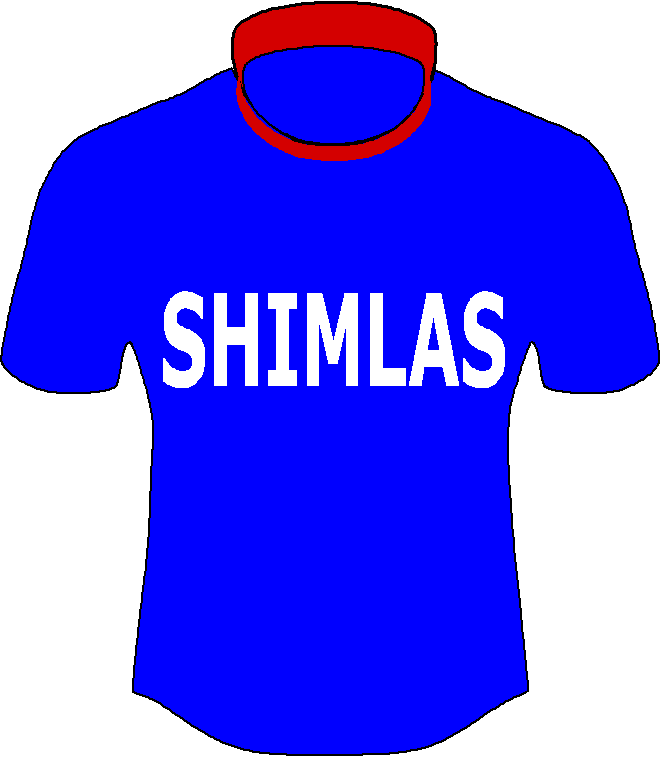 Once again there is only a league for A and B teams so very few schools will have a C or D team. My son went to a big primary school in Centurion, they had almost a 110 boys per grade. U/8 more than 60 boys in his grade played “bulletjie” rugby, u/9 they started league rugby and only two teams were selected the rest had to stop or move to a club. The parents asked the school for at least a C team but they said they won’t be able to play games against other schools. Many “Afrikaans” primary schools in Pretoria became English and most stopped playing. The remaining Afrikaans schools became much bigger. That is the reality. Several years ago I did some research on primary schools in Centurion, there were 18 primary schools with almost 19 000 kids if I remember correctly. Only one English school had over 800 kids most Afrikaans schools had more than a thousand kids, a few had more than 1500. The “Bulletjie” rugby day at Loftus use to see over 4500 boys in three age groups, what happens to them the next year when the league starts? It’s simple, less schools playing rugby with less teams equals less talent for high schools. Just don’t stop the league at primary school level, it teaches the few that remain how to win. @Vleis: Hockey? Like a primary school rugby coach here in the Helderberg use to say, it’s the “devil’s” sport. @Bush: Very interesting, Grey is the benchmark for everybody. When you listen to their record you just realize what a amazing school it is. @Bwana: Neville coached the SA schoolboys to victory over the Aussies. I wont compare our senior team vs Australia. @Stier: Correct everybody wants to beat GCB. What I find strange IMO is the Aussie and NZ schools in that line up. I’m sure 2 3 House would beat them possibly with their 2nd team. @Stier: Don’t worry mate, we are cut from the same cloth. That said, I do appreciate the talent and dedication in any sport. Hier vanuit South China Sea…..Palawan Island. Lyk my die suid skole oorheers die rugby. Affies af…..Pieterburg my area geen skool feature. Ben Voster redelik. Grey college bloem steeds in eie klas. Ek favour Selborne “Zebras” en Paarl Boys. Ook Paul Roos. Hoop ons kan kyk…youtube. 6 uur tyd verskil. 10:38am hier. @4×4: noord skole trap klei, hoekom. Net Grey bloem is steeds tops. Ek was van Polokwane area….PHS en TOM Naude gaan agteruit…..Ben Voster en Ben Viljoen…?? ?…..Suid skole wen selfs NZ skole op drafstap. @McCulleys Workshop: It is well documented that Gray College Bloemfontein is the benchmark, the statistics show an upwards curve which is a good thing for Affies, but if the trend continues to a say 70/30, then that will be a concern for me, and that will support my view that SBR is getting weaker. Competition brings out the best in a person, if a can quote Lance Armstrong when he was asked if Jan Ullrich keeps him awake at night he said no but he makes me get up in die mornings to practice. 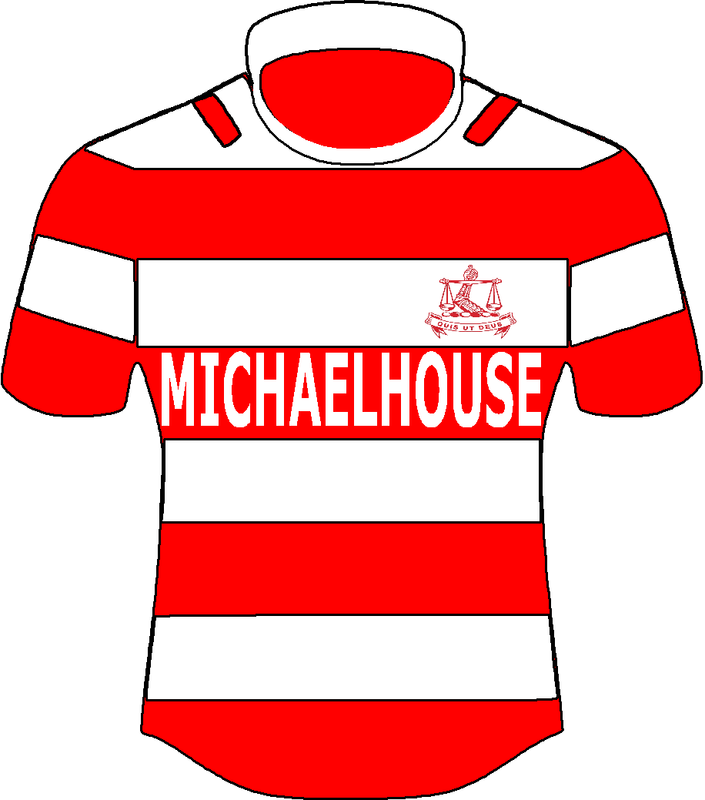 Question: How many rugby teams does Michaelhouse have, is it 20 as their website is saying or do you have more teams? Which other schools does Michaelhouse complete against with their 20 teams against the same school? 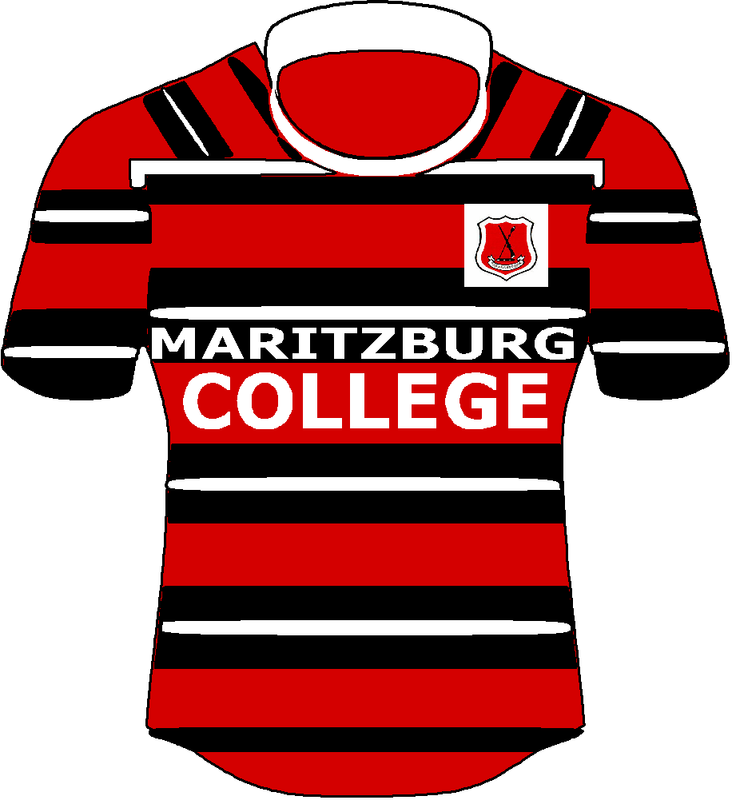 I see you play against Westville and Maritzburg College. @mjyoung: Baie eenvoudig waarom suidskole oorheers….. waar wil DIE MENSE bly die laaste 20 + jaar en neem net toe??? IN DIE KAAP!!!! @Wondermaar:?????? We have been told for years now how the poc kids from the Cape all want to play for schools in Guateng and that is why so many each year go to schools in Joburg and Pretoria? @mjyoung: Ek sien Affies het gister teen Piet Potgietersrus gaan speel. Whow…..my familie was almal Piete…..Score???? Waterkloof and Garsfontein do well. Maybe the history counts for some schools….Paul Roos even have Matie jerseys…like baby maties. @Wondermaar: in alle eerlikheid…ek was paar maande in stellenbosch…..so bietjie geboem…..(onder die broodlyn rondgefloat)…..tensy mens welaf is en sekuriteit en hoe lewenstyl kan bekostig…..is die kaap wild..selfs n gagga plek by tye. Malmesbury ooo hooo 7 keer gerob in een maand. Hier op die eiland naby China is geen crime. Lekker ou Jan.
@AffieOuer – JR: Is Grey bloem still strongest school in world.rugby? @Vleis Does a loss to a “weak” St Johns U16A team constitute that Bechet is therefore “past his sell by date?” From a person that says he “doesn’t follow hockey” you lead people to believe how uninformed, and quite honestly stupid you must be. As an ex- St Alban’s parent, and since “ you don’t follow hockey,” you need to be reminded of 6 losses and 32 wins for the Jeppe U16A team in their last 43 games, (since the start of the 2017 season until present). Simply put sir, Bechet, as I am led to understand, focuses on developing young hockey players, allowing outcomes to be the result of processes. The big picture, I would suggest, is 19 Proteas and 1 Canadian International player, and some 74 National U18 caps produced in his tenure as a hockey coach. I would suggest that, if you “don’t follow hockey,” then rather not pass unkind comments and name drop. Oh, and finally, Neville Rothman and Bech are great friends and I have no doubt that he will do wonders at Affies. He is a fine hockey coach in his own right, and a helluva lekker guy. In summary sir, rather just follow rugby and comment there upon instead of throwing your name around like you just have. @Smallies: helfte van die voortrekkers het kriminele rekords gehad of was op pad om in hegtenis geneem te word. @Cappie: Ja Affies het 6 spanne teen Piet Potgieter gespeel en 3 spanne teen Sonitus. Ek het die 7de en 3de spanne gesien, Affies se 7des het teen Piet Potgieter se 2de span gespeel (43 elk), lekker harde wedstryd veral na die naweek teen Paarl Gimnasium, die manne was nog seer gewees, en Affies se 3de span het teen Piet Potgieter se 1ste span gespeel (as ek reg kan onthou was die telling 48-28), telling weerspiel nie die wedstryd nie, was ook lekker hard gewees, die nommer 6 en 12 van Piet Potgieter het Affies baie besig gehou. Wat vir my egter great was is dat Affies sommer 2 10de spanne laat speel het gister, ek is bly die manne kry kans, dit is nie baie nie. @coach: Yes, perhaps I should have kept my own counsel on this matter. Point taken. 1. You’ve largely focussed on the achievements of the man. Of course, there is absolutely no doubt that he has had a stellar school boy hockey coaching career. I’m certainly not disputing that. 2. I wrote “for example” – i.e. just one example to back up my rash opinion, but perhaps you wanted a list? 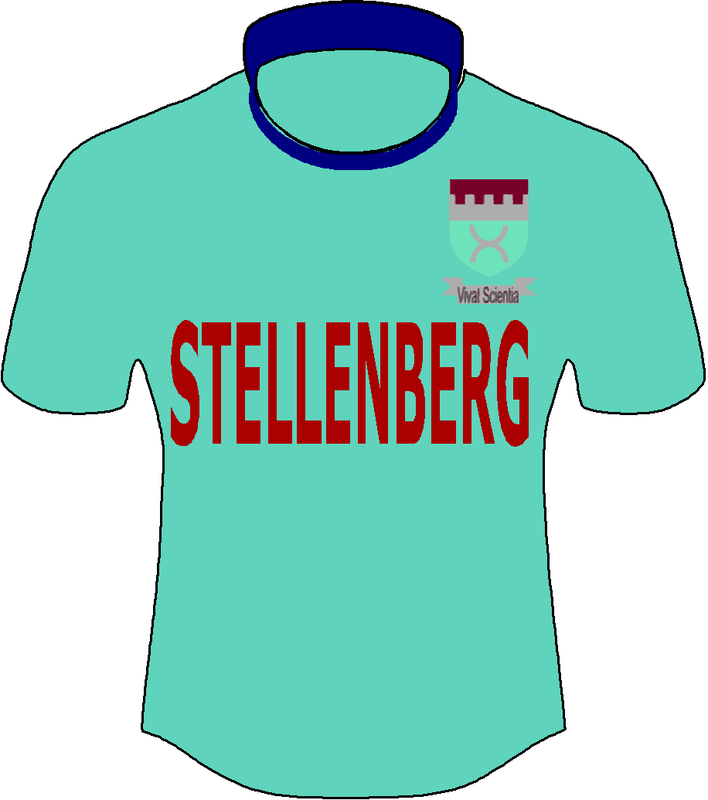 Another example is their loss the following weekend to Westville u16A, so that makes it 0 fo 2 this season. 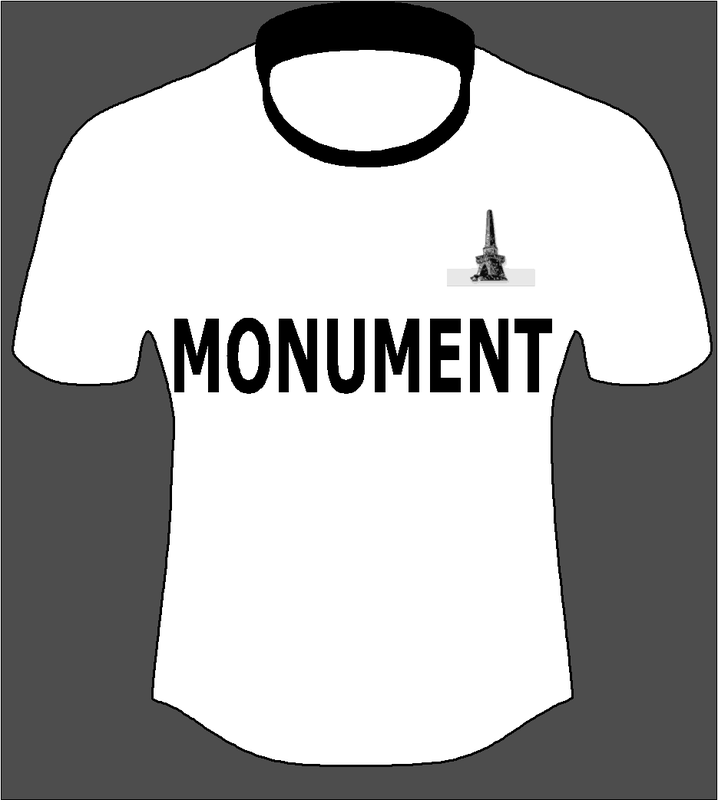 That said, I agree that it is churlish to draw this out – especially as Jeppe is one of the schools that I support. Rather, I wish him and his teams the best of luck for the season ahead! @Vleis: Based on the tone of the response, it sounds like you are dealing with the man himself. God forbid you should comment. @McCulleys Workshop: Guys and on this special day for me as a person of faith I bless you with forgiveness , love and consideration . At the end these things are trivial . @Trots HJS (Tandem): Thank you, the same for you and your family and all the bloggers. @Vleis: @McCulleys Workshop: @coach: Who do you think is the best schoolboy wrestling coach at the moment? One tip it’s definitely not @Bush. @Trots HJS (Tandem): I know you may think I have multiple personalities, but I am one! Hope you have a great weekend. Hier is my versoek weer asb. “Results week ending 6 April 2019 en 13 April 2019”. Kan die +22 spanne skole wat teen ander +22 spanne skole gespeel het, net vir my laat weet wat was die wen/verloor/gelykop verhouding gewees asb.